The prime minister's support of a woman's choice to have an abortion contrasts with US President Trump's anti-abortion stand. 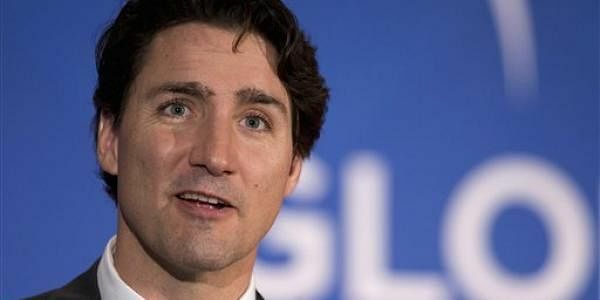 OTTAWA: Canadian Prime Minister Justin Trudeau vigorously defended women's access to abortion services, saying on International Women's Day Wednesday that they have a right to "choose their path, their future." "When we take a stand against abortion... we are taking away the power of women to choose their path, their future, when, how, (and) with whom to start a family," he said at an event to announce Can$650 million over three years for women's health initiatives overseas. The prime minister's support of a woman's right to choose to have an abortion sharply contrasts with US President Donald Trump's anti-abortion stand. Trump nixed federal funding for NGOs that offer or promote abortions abroad. "We can only build a better world, a stronger world with more opportunity for everyone... if women are empowered," Trudeau commented. "For far too many women and girls, unsafe abortions and a lack of choices in reproductive health means that they either are at risk of death or else simply cannot contribute and cannot achieve their potential through education, through involvement in their community, through a broad range of opportunities." The Canadian funding will go to "comprehensive sexuality education, strengthening reproductive health services, and investing in family planning and contraceptives," according to a government statement. The programs aided by the announcement also "will help prevent and respond to sexual and gender-based violence, including child early and forced marriage and female genital mutilation and cutting and support the right to choose safe and legal abortion, as well as access to post-abortion care." Separately, the government statistical agency issued a report noting that there is still a way to go to reach gender parity in Canada. On wages, access to jobs or gender parity in politics, inequalities persist despite advances in recent decades to narrow the gap, according to Statistics Canada. Women earn Can$0.87 for every dollar earned by men. The difference "is largely a function of wage inequality between women and men in the same occupations," said Statistics Canada. Many women (56 percent) also continue to be employed in "occupations that have been the purview of women historically," such as teaching, nursing, social work, clerical or sales and services. At the same time, they remain far outnumbered by men in natural and applied science occupations. Since taking office at the end of 2015, Prime Minister Justin Trudeau has pressed for gender equality, making gestures such as having an equal number of male and female ministers in his cabinet. In the House of Commons, however, the imbalance persists with two-thirds of members being men. In a statement, Governor General David Johnston, Queen Elizabeth II's representative in Canada, called for gender equality in all areas, saying "there is still much to be done before women worldwide can achieve the equality they seek."